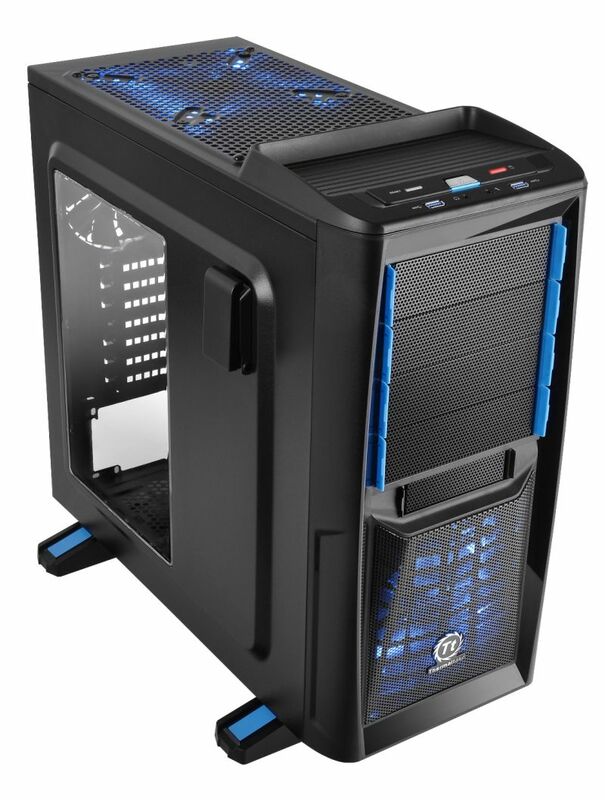 Taipei, Taiwan – February, 22, 2013 – Thermaltake, an industry leader in computer chassis, thermal solution, and power supply unit today launched another new member of Chaser Series- Chaser A41 mid-tower gaming case. After introducing Chaser A31, Chaser A41 simulated the design concept that is also for computer gamers and enthusiasts that deliver a combination of strong cooling, powerful performance but a more, greater expandability. Chaser A41 has continued the e-sports appearance and outstanding protection designs inspired by Tron that characterize originality. From the side look, the transparent windowed panel offers the best inner view for built system see through. Since gaming hardware produces a lot of heat, therefore this enclosure is built for maximum cool with a perforated front bezel with two 120 mm fans at front and rear plus a top exhausted 200mm fan with blue LED. Chaser series makes practicality more convincible. The series is geared with up two USB 3.0 Super Speed ports which are located on top panel for faster data transfer and easy access. Besides, Chaser A41 comes with an user friendly tray on top for any portable devices like mobile, mp3player, digital camera that users have lying around. The Advanced Cable Management is designed for easy cable routing and hiding cables behind motherboard tray, to ensure smoothness for build and tinker (upgrade), reduce wiring tangled, as well as better airflow and dust management. Chaser A41 enables user to build up a complete high-end solution with 240mm radiator liquid cooling system and extra long graphic card with ease which help to protect user’s hardware and increase CPU’s overclocking potential, most importantly delivers outstanding performance and efficiency from within the case. Here Thermaltake had introduced mid-tower gaming cases from Chaser series A31 to A41, the last but not the least full tower case from Chaser family is still on the go to be presented in March, the ultimate and impeccable hit!